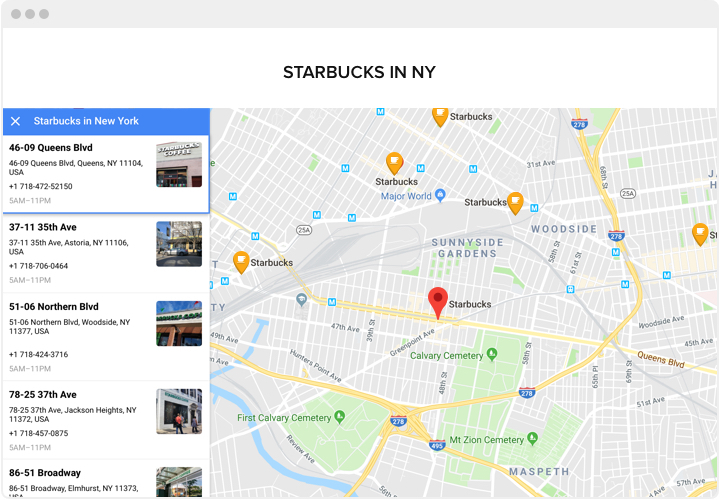 A multifunctional and completely customizable plugin, which makes it easy for your customers to search for your locations and contact you. Quick installation and customization make it one of the best instruments for all WordPress websites. 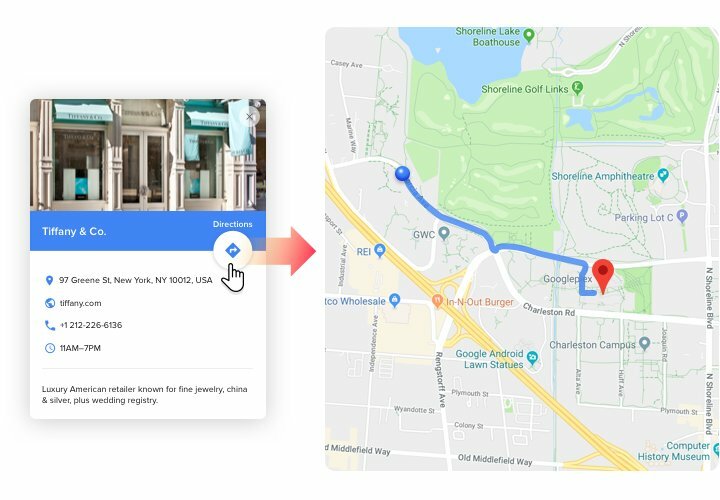 Generate more off-line visitors thanks to smart maps on your site! 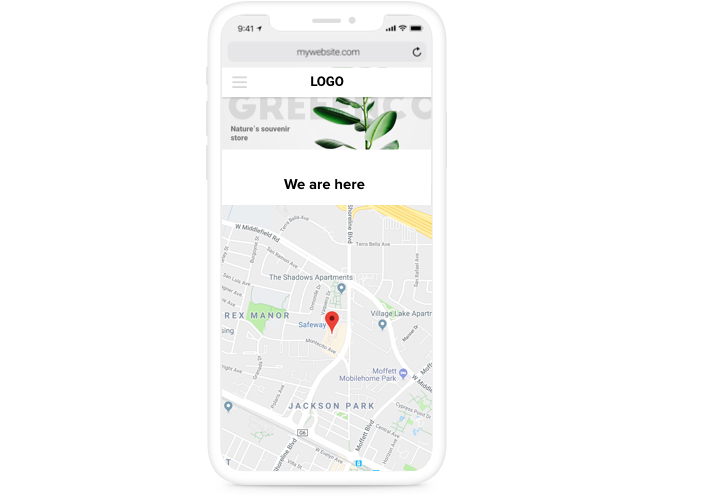 Provide detailed contact info (location, phone, e-mail operating hours business hours and so on), so your future shoppers could contact you by any means. Mark all public departments, locations of selling or picking goods on the map and let your users easily find the most suitable point. All functions are available in 1 click, so you can shape an effective map for your site just in a couple of minutes. What features make our map into the best for all Elementor website? Discover the full list of widget functions in a demo! 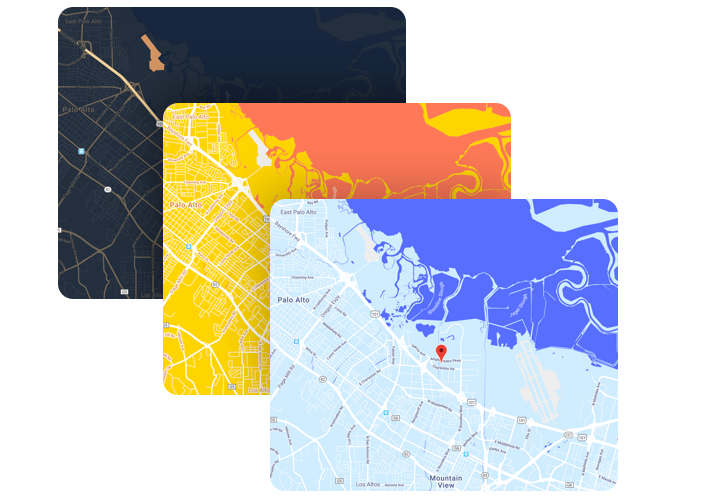 A brief manual on designing responsive maps on your own. For this, you don’t need hire a coder or have competence in developing. Approximate time is just a couple of minutes. By means of our free configurator, configure your plugin, selecting a template and other interface parameters. After you have configured the widget, save a unique code that you see in the notification. Insert the plugin in the selected area of the website and apply the changes. Go to your site, to check your widget. Have come across hardships or queries while performing the instruction? 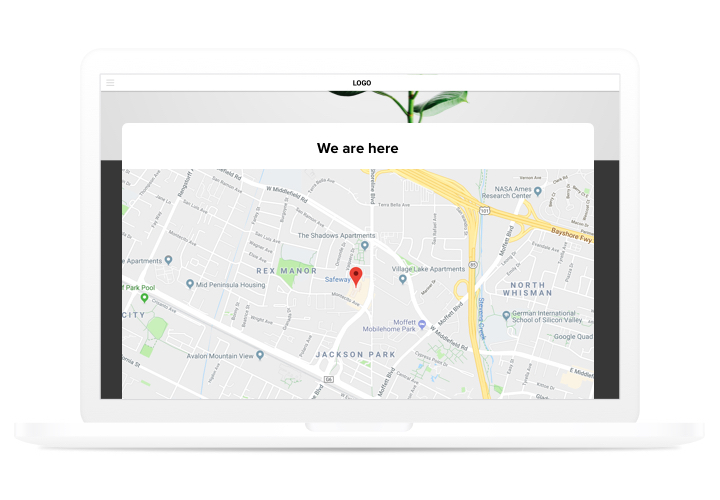 Address customer support and our team will be happy to help you in generating and inserting maps on your site. 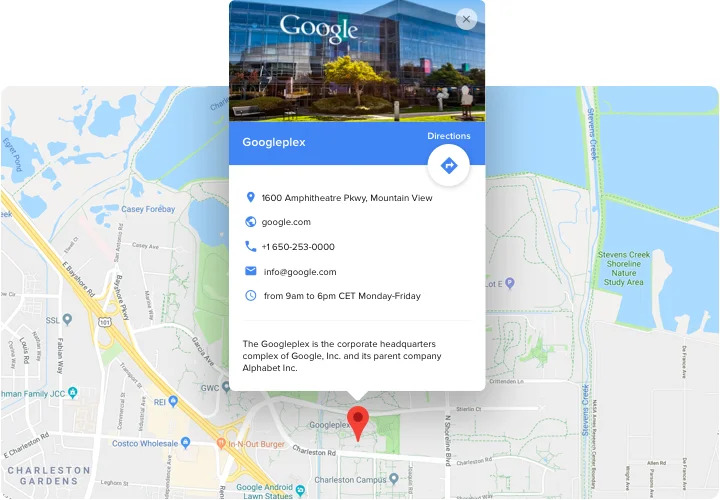 Create the best Elementor Google Maps plugin for free!